Monday of this week was Jackson’s fourth birthday. 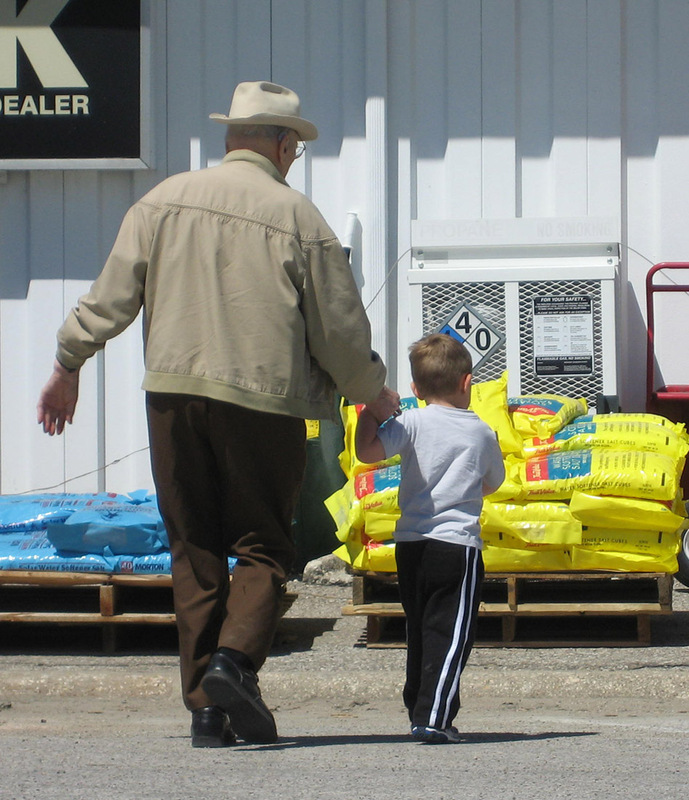 Jackson and I had a fabulous day with Great-Grandpa Deane (my father). 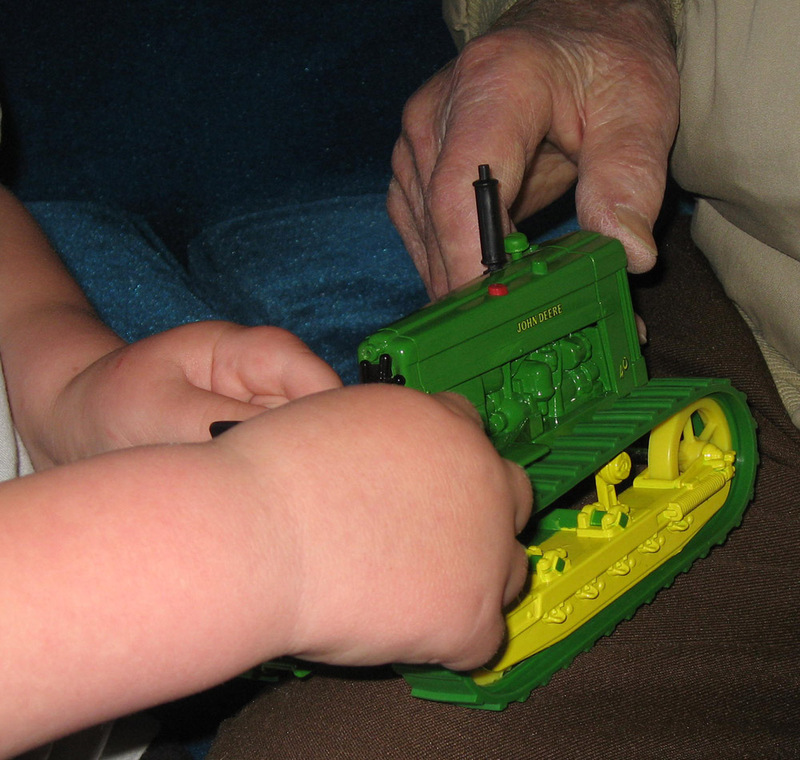 Grandpa Deane’s wrapped gift to Jackson was a John Deere 40 crawler tractor — $27.00. The gift of the rest of the day — priceless. Jackson and I went back to Rolfe Monday evening. Late in the day on Tuesday, Grandpa Deane took a spill. Fortunately he has no broken bones, and was back to walking (albeit very gingerly) and joking yesterday. He does have a very sore rump and is receiving lots of TLC. On Wednesday I dashed up to Rolfe to be with my dad and other family members; I arrived home today. I’ll go back next week. Needless to say, I’m a little pooped but also want to keep current with blog posts. If I don’t post often and/or thoroughly for a while, you’ll know why. Within the next month or two I hope to post about Bill’s and my refinishing our basement using wood from the home place barn that was built in 1904. This entry was posted on May 7, 2010 at 7:33 pm and is filed under Deane Gunderson. You can follow any responses to this entry through the RSS 2.0 feed. You can skip to the end and leave a response. Pinging is currently not allowed.